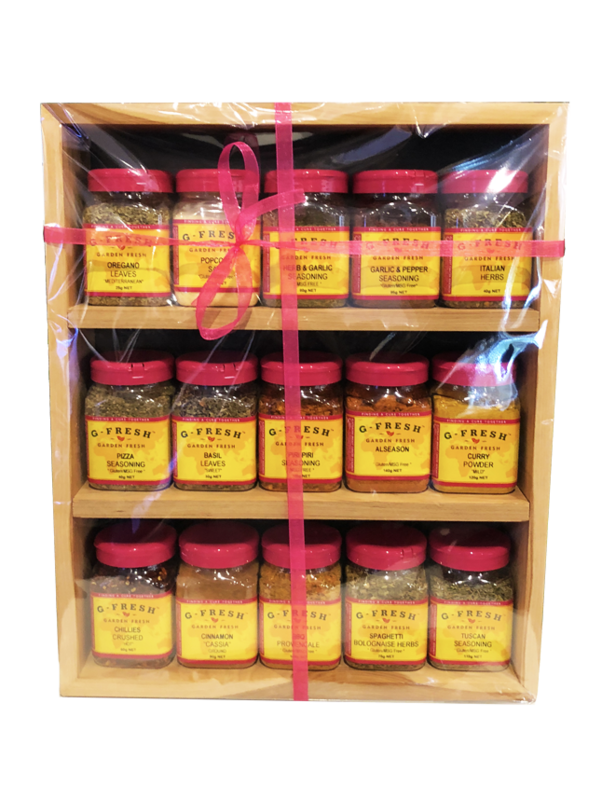 Gift wrapped and pre-packed with a variety of G-Fresh herbs, spices and seasonings, this modern, versatile Spice Rack is the perfect present for your loved one! 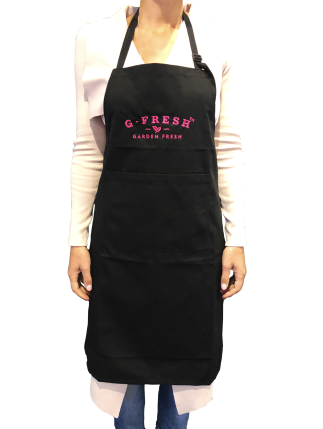 It holds 15 x G-Fresh jars and will become the centrepiece of your kitchen bench. You can also lay it down in your large kitchen drawers — the choice is yours! 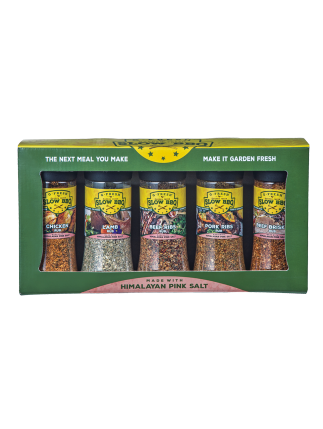 Either way, you’ll have endless amounts of cooking inspiration, as your favourite G-Fresh herbs, spices and seasonings are readily accessible and waiting to be used!